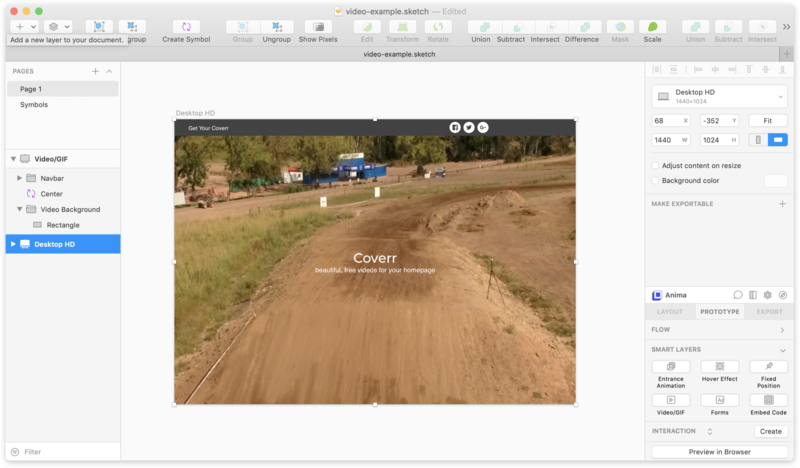 With Anima, you can embed Videos and GIFs in your website right in Sketch. Videos can be in the form of a video player or simply a cover/hero video without any control buttons. 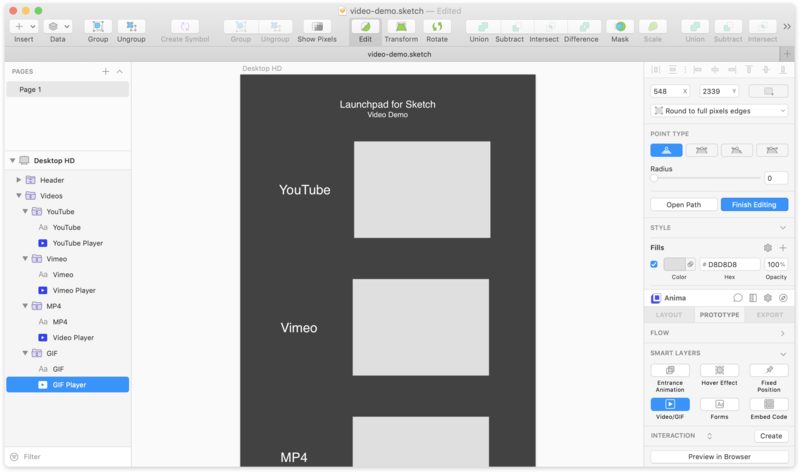 Learn how you can upload your own Video/GIF files to your design. To see it, click Preview in Browser in the Anima Panel. If you want to embed locally stored files, go to your Project Settings, and in the Files tab, you can upload your videos/GIFs files from your computer and Anima will create a direct .mp4, .gif url that you can embed in the Video/GIF Smart Layer in Sketch.